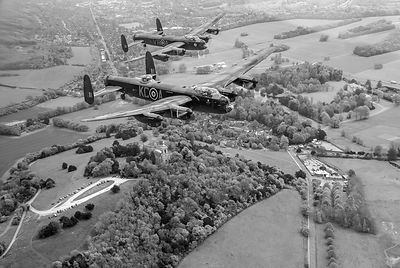 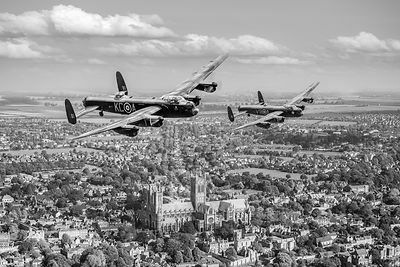 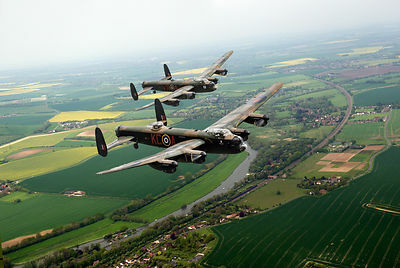 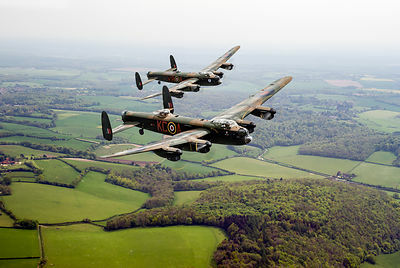 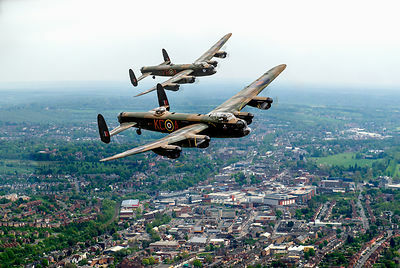 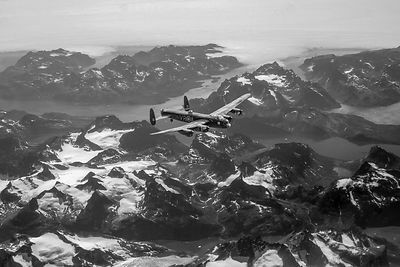 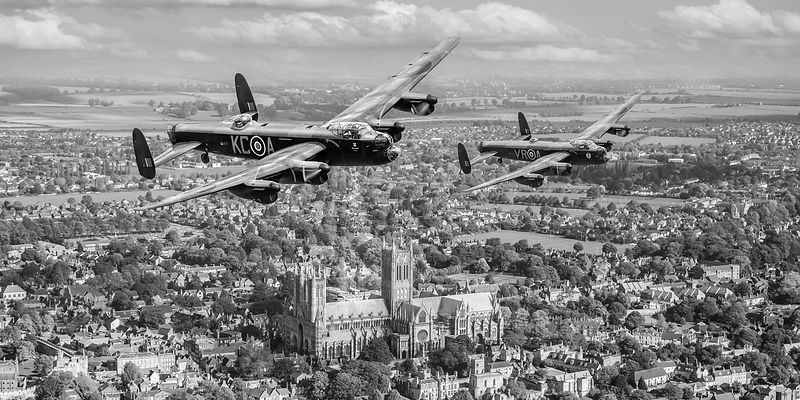 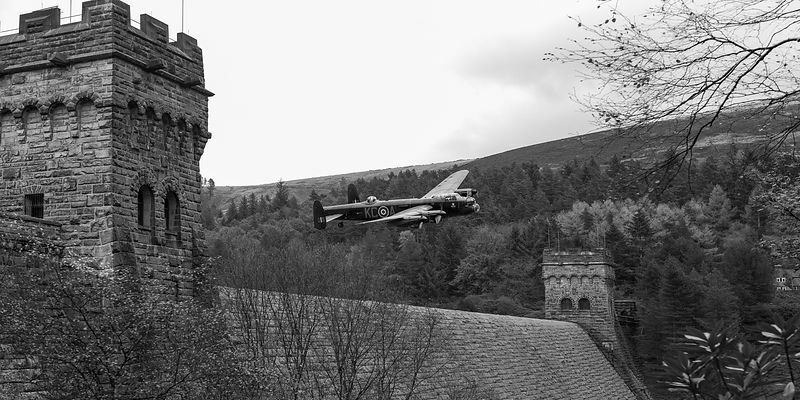 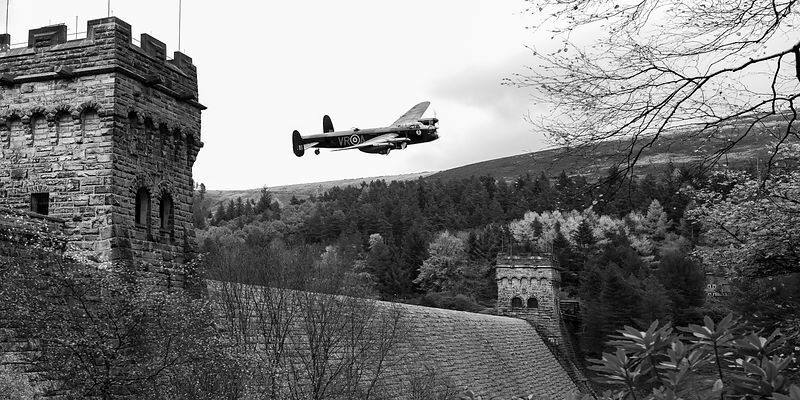 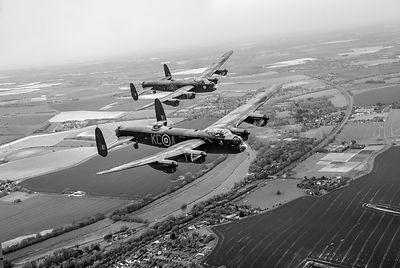 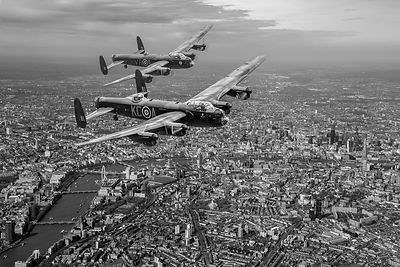 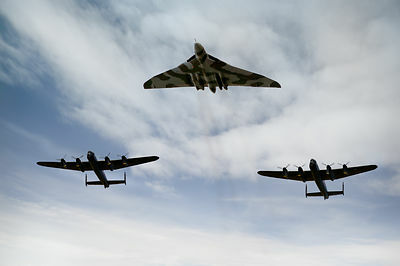 In the summer of 2014 the only two remaining airworthy Avro Lancasters - normally separated by the Atlantic Ocean - flew together for the first time. 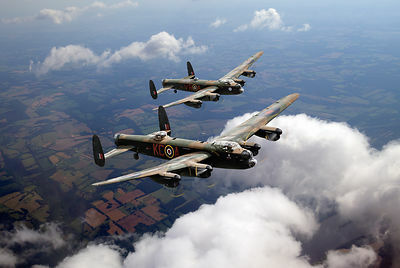 The Canadian Warplane Heritage Museum's Mynarski Memorial Lancaster FM213, flying in the markings of KB726 VR-A of RCAF No 419 (Moose) Squadron, crossed the pond to join the RAF Battle of Britain Memorial Flight's Lancaster PA474, in the colours of DV385 KC-A, "Thumper Mk III" of 617 ('Dambuster') Squadron. 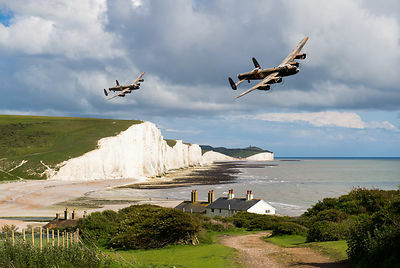 These are photorealistic depictions of imagined scenes featuring the historic aircraft. 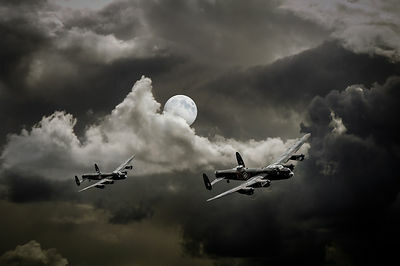 Click on pictures for information on various print types and prices, and to buy securely.